The first thing that will make you hire our services is the quality of the end products that we produce. 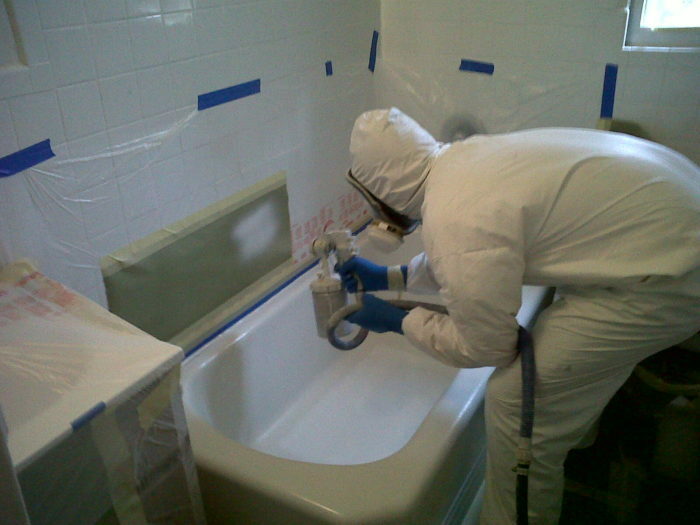 You can be sure that your bath tub will be as good as new. You will be so comfortable with the new look of your bathroom and will want to have your bath for a longer period. The bathroom will not only be attractive but also clean. The other advantage is that this new look is not short-lived. The tub will retain this amazing new look for a long period of time. Our professionals use top quality glazing materials that have a very low rate of tear and wear. In case you have any doubt with our services, we will give you a warranty. In fact, you will rarely find a person calling us to re-do the work because we are very thorough in our process. The warranty is just to give you some peace of mind because we have a lot of confidence in our services. We will begin the work on the agreed time and date. Your new bathroom will be ready for use in one of two days unless there are other renovations that need to be addressed apart from Reglazing. The first thing to do is visiting your home and accessing the amount of renovations that need to be done. We will be able to make the estimates and give you a quotation. Our professionals are so transparent and will list everything in writing. Once we reach an agreement, we will give you a contract that stipulates the terms and condition of the work. This level of transparency is what makes most of our customers to trust us. Our desire is to build a long term relationship with all our customers.